At JMI Limousine, it is our goal to ensure that our customers reach their destinations safely and in a timely fashion, and that they have fun while doing it. Since 1994 we have been providing our customers in Beaverton and all over the Portland metro area with safe, affordable and luxurious transportation. Having such a steadfast commitment to safety and quality has enabled us to avoid mishaps. In our 19 years of operation, we have never experienced a single accident. That is a track record that you just can’t argue with. Before we hire our chauffeurs, we thoroughly test their driving skills and perform extensive background checks to ensure that they are courteous, professional and safe. We understand that our chauffeurs are the people who will be driving you around and greeting you, so we make sure to hire quality individuals. The friendlier our chauffeurs are, and the safer they drive, the better experience our customers will have, and that is really what we’re all about. You can bet that our vehicles are safe, clean and up to code. We take excellent care of our limousine fleet, and all of our vehicles are inspected regularly by certified master mechanics. 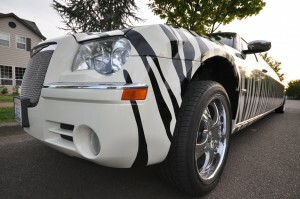 Our vehicles are also adequately insured according to the latest Oregon laws and regulations. Our hard work and dedication to customer satisfaction has allowed us to be considered one of the top Portland limo services. We are excited to be able to provide our top-notch limo service to our loyal customers living in the Beaverton area. Our headquarters is located just 10 minutes from the heart of Beaverton. We welcome you to come by any time to personally tour our facilities and check out our fleet of limos. 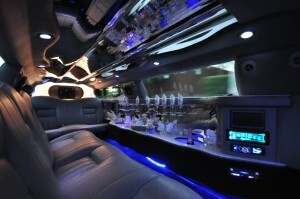 Contact us to book one of our limousines or to get a free rate quote today!